Have you heard of the company NexisLexis? Chances are that you may not be familiar with them but they are a leading business research and risk solution company whose services are used by many large corporations and government agencies. 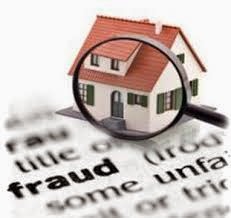 Recently the company performed an in depth study of mortgage fraud activity during 2013. The results were somewhat surprising. According to their 16th Annual Mortgage Fraud Report, falsified or misleading loan applications have become the most common method of fraud pertaining to the mortgage industry. The report concluded that 74% of the loan applications investigated contained some type of false information. This included misinformation such as applicants lying to cover up negative information about their past financial background as well as falsified figures regarding income and an inaccurate employment history. This has always been a problem in the mortgage loan industry but these figures show a marked increase over previous years’ statistics. 2012 revealed a 69% rate in fraudulent loan apps as compared to an even lower rate of 61% in 2011. An increase of 13% in only 2 years is a serious problem and could eventually lead to even more restrictive policies by lenders in an attempt to protect their investments. Credit fraud was discovered in 17% of the investigations also showing a 5% increase as compared to 2012. Surprisingly, appraisal fraud was at its lowest level in five years at 15% of the cases investigated. If you’re wondering, the state with the highest level of mortgage fraud was Florida. Nevada placed 2nd nationwide with New Jersey taking the dubious distinction of being 3rd. But this problem is not just a simple matter of applicants lying on their application to increase their chances of being approved for a loan. The truth is that an estimated 80% of all mortgage fraud somehow involves an industry professional. Many of the “professionals” are career criminals that have learned how to manipulate the system in order to obtain loans for people that would normally be refused. This is a way to dramatically increase the amount of their clients that are approved for a mortgage and who would talk? The homebuyer is happy to get the home that they wanted and certainly does not want to incur any legal problems. We are all well aware of the complexities involved with obtaining a home mortgage and without the assistance of a less than honest but knowledgeable industry professional the average applicant would not know how to manipulate the system or even what to lie about. The unfortunate truth is that, as always, it’s the honest people that pay in the end. Just the same as paying higher prices at the store as a direct result of shoplifting, lenders fees and rates are affected due to losses incurred as a direct result of this type of “theft”.